'I am doing a massage course with Lorraine and really enjoying it. she makes learning as easy as possible and fun. 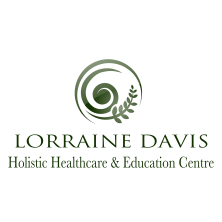 'Just completed Lorraine's Clinical Aromatherapy Diploma. I already had Aromatherapy level 3, but the course fell short of my expectations. This is not the case with Lorraine's courses. We were a small group who attended the course at Pike Villa. The bonus of this was we had personal one to one with Lorraine when required. Lorraine is a fabulous tutor, she is willing to share her expertise and knowledge. Would also recommend the Ayurvedic Techniques in Indian Head Massage CPD course, The skills I learnt will easily fit into my current therapy. Here at the centre, we are honoured that our training is so highly regarded within the industry. ​We offer a strong multi-level training pathway, delivered in a small group format by Lorraine Davis, a tutor with the highest level of knowledge and experience. This is coupled with the very best in flexible student centred learning, allowing you to grow and develop at your own pace. The Foundation Course offers a good, broad, basic introduction to massage techniques and the Practitioner Certificate delivers an excellent stand alone industry standard qualification mapped to the NOS. Both of these are accredited for insurance by IPHM. This course is perfect for those new to massage therapy. It assumes no prior knowledge, and is a good solid introduction to the world of bodywork. It is suitable for existing therapists as CPD , and also non -therapists who would like to learn more about massage . The aim of the course is to offer a solid introduction to bodywork and to enable you to use massage for yourself, family and friends, safely and effectively. You will also have an understanding of the benefits of massage and ways in which specific techniques can be of use. This training meets the requirements of the NOS [National Occupational Standards] for body massage and will give you a good industry standard qualification that is accredited by IPHM for membership and insurance. It will enable you to work with clients safely and effectively. This is a wonderfully adaptable all round massage qualification incorporating the very best massage techniques to enable a truly holistic restorative massage experience for your clients. It is ideal if you are needing a qualification in massage to progress to other bodywork eg: aromatherapy, but equally is a beautiful treatment in its own right. Theory is undertaken by supported distance learning, with attendance at 3.. 5 in class practical days [3 days input and 1/2 day practical assessment] . The course involves case study work and theoretical and practical assessment. The aim of this course is to provide a good solid industry standard qualification that enables the student to provide a safe and effective massage treatment.